Calling all Pokemon trainers! Today I am filming my Monthly Favorites video and this month's theme is POKEMON! YAY! This outfit is one of my faves right now (you can see me wearing it in my IMATS/NYC Vlog!!) 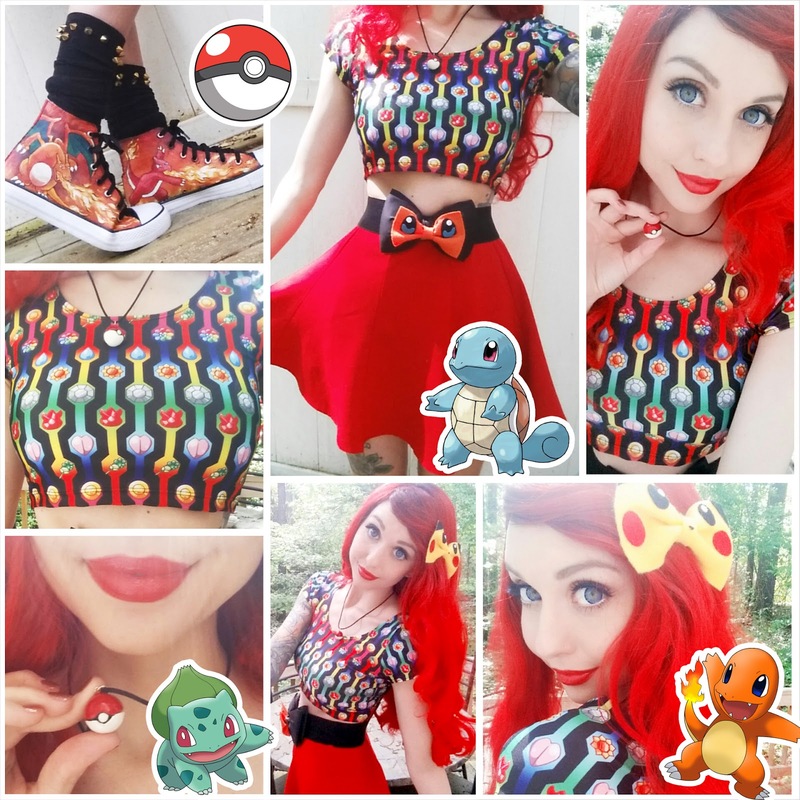 and I figured it would be the absolute perfect outfit to wear in this video about Pokemon merch! Check back for the vid- it will be up in just a couple of days! DISCOUNT CODE "Alexa10" for $10 off any custom shoe purchase!